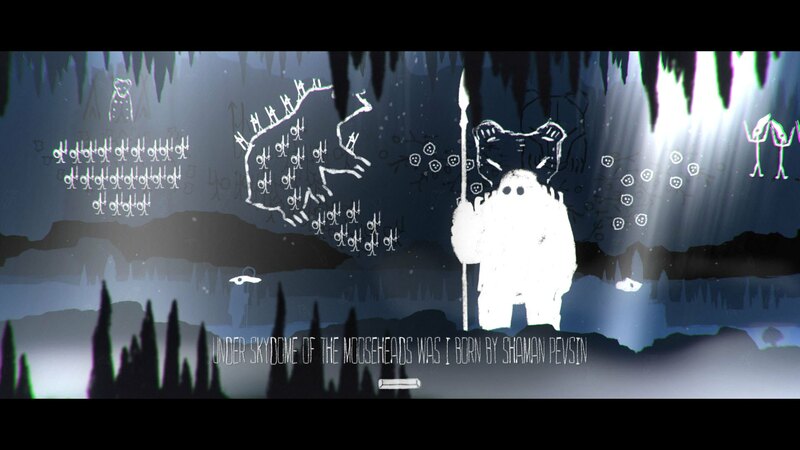 The Mooseman to be released on Nintendo Switch™, Xbox One and PlayStation 4 on July 18th! You are the Mooseman and you have the ability to see all that is hidden to the mortal eye. You are about to visit three layers of this universe – the first one is the Lower World where the spirits of the dead reside. Long-long time ago the world was created out of an egg-shell by a god named Yen. In the murky depths of the endless ocean the Lower World was born. The Middle World was made for the men to dwell, and the Upper World was were the ancient gods would reside. Multitudes of spirits dwell among the layers of creation, guarding their secrets in the dark. Embark on a journey through all the worlds of ancient myth, find artefacts of Chud’ tribes and solve all the mysteries of finno-ugric tales.